Pat Albright owns Albright Swine Farms in Coldwater, Michigan. This farrow-to-finish operation markets 2,500 pigs annually which includes 400 show pigs a year. He also contract finishes 6,000 pigs a year. Pat co-owns a USDA inspected, multi-species harvest facility. Additionally, Pat runs a hog roasting business that maintains eight mobile units. Pat has served on the Michigan Pork Producer board of directors since 2000 and is currently the vice president. 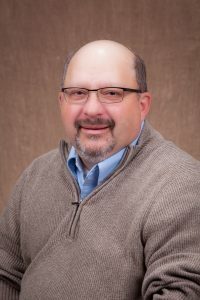 On a national level, Pat has been on the National Pork Board swine health committee since 2016. He is also actively involved in the Michigan Farm Bureau and the Coldwater Rotary Club. Issues with trade are the biggest issues facing the industry today. I think that trade agreements, tariffs, and foreign animal disease threats (African swine fever) could affect trade. The main goal of the Checkoff and the National Pork Board is to maintain and increase acceptance and consumption of pork here and abroad. I am seeking this position because I want to serve the industry that has served me. I feel that I can contribute positively, to affect the future.